What is average salary in Mexico? 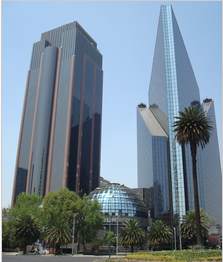 Based on our survey (510 individual salary profiles) average GROSS salary in Mexico is MXN 762,447. Average NET salary is MXN 574,893. The most frequent GROSS salary is MXN 253,631. The most frequent education is Bachelors Degree. The most frequent experience are 4-8 Years. Below is the list of 510 individual salary profiles - all added on this website. Doctorate Degree, 16-20 years: "R6D and innovation"
Bachelors Degree, 0-1 year: "stuff incolving customers and things"
Bachelors Degree, 8-12 years: "Mamufacturing manager"
Some College, 1-2 years: "financial adviser"
Masters Degree, 20+ years: "Director/Partner: Sales and Marketing B2B General Management"
Bachelors Degree, 8-12 years: "accountant, accountant"
Masters Degree, 4-8 years: "MFG engineer at assembly plants"
Bachelors Degree, 12-16 years: "responsible for all accounting functions"
Masters Degree, 8-12 years: "Fullstack Software developer with Angular + .Net + SQLServer"
Bachelors Degree, 16-20 years: "finance director"
Bachelors Degree, 12-16 years: "Analysis of blood"
Bachelors Degree, 2-4 years: "General HR support"
Masters Degree, 2-4 years: "New business records, event planning, etc"
Masters Degree, 12-16 years: "oversee the use of technology throughout an organisation, including its development and implementation. The director will work closely with staff, especially managers, to assess the needs of users within the context of their business environment." Bachelors Degree, 1-2 years: "Make sure all the salesmen and women have the tools and visibility of their job"
Bachelors Degree, 12-16 years: "Build apps from scratch or features for company apps, create initiatives for improving performance and knowledge of the team members"
Bachelors Degree, 8-12 years: "Professional services"
Bachelors Degree, 20+ years: "Maintain, architect Windows servers"
Masters Degree, 16-20 years: "Chief Financial Officer"
Masters Degree, 16-20 years: "Lead a team of 18 responsible for digital, e-commerce, branding and marketing communications and business development activities." High School, 4-8 years: "Sales in textile fabrics"
Bachelors Degree, 4-8 years: "Overall Accounting jobs"
Doctorate Degree, 16-20 years: "Planning, strategy, policy development, research"
Masters Degree, 12-16 years: "Management role and interaction with board of directors"
Bachelors Degree, 2-4 years: "Search for organizations that can have a credit"
Bachelors Degree, 2-4 years: "Inicial analysis on companies that are potential pipeline for our fund." Bachelors Degree, 20+ years: "Manage the whole branch company inTijuana"
Masters Degree, 2-4 years: "360 direct and indirect reports, multisite responsibility"
Masters Degree, 16-20 years: "Regional Manager LATAM"
High School, 2-4 years: "Describe business requirements as development tasks Implement product features Document software design and code"
Masters Degree, 4-8 years: "Manage engagements"
High School, 8-12 years: "project administrator"
High School, 20+ years: "Owninngh and hanging building projects -roads warehouses etc"
Bachelors Degree, 4-8 years: "Hot stamping and cold stamping simulation developer for quoting and implementation, experience in BIW, chassis and cradles"
Masters Degree, 20+ years: "Manage a group of engineers, NPD, Process engineering and Industrial engineering"
Masters Degree, 8-12 years: "Supevise the Accounting Departments of 3 Plants"
Bachelors Degree, 16-20 years: "Operator of CM and independent film maker"
Masters Degree, 2-4 years: "Create career paths and PDP for the employees"
Some College, 4-8 years: "quality technician"
Doctorate Degree, 12-16 years: "Teach and research in the Biotechnology field." Bachelors Degree, 4-8 years: "Over all in charge of quality systems in PH and MX"
Some College, 8-12 years: "Selling industrial hardware and software to manufacturing companies"
Doctorate Degree, 16-20 years: "Coordinate all engineering task associated to motherboard development for servers"
Bachelors Degree, 16-20 years: "Transfer Pricing Director"
Bachelors Degree, 0-1 year: "I lead all the marketing research, currently I´m leading a project for employer brand (HR), and I have been training for SEO and SEM marketing I need to performed on it ASAP." Bachelors Degree, 20+ years: "ACCOUNTING AND FINANCIAL ADMINISTRATION"
Masters Degree, 20+ years: "singing in a pub and club"
Masters Degree, 2-4 years: "developer analyst"
Masters Degree, 12-16 years: "To identify customer needs and design software features to suit them"
Masters Degree, 20+ years: "Financie, Entrepreneur, Investigator, teacher." Masters Degree, 20+ years: "design of all programs of OD for the Organization (career plans, compensations, training & development, sucession plan)." Masters Degree, 1-2 years: "Talent Acquisition"
Bachelors Degree, 4-8 years: "Plastic resin sales all over the country"
Masters Degree, 12-16 years: "Senior SDET senior developer"
Masters Degree, 12-16 years: "senior software developer in test/ senior developer"
Masters Degree, 12-16 years: "Information and Knowledge Management." Masters Degree, 4-8 years: "Ensure timely supply of finished goods to customers, using efficiently managed systems and tools for series production and spare parts. Demand analysis, processing and production planning considering line capacity and material availability, using different tools Inventory flow management to increase stock turn rate." High School, 20+ years: "To research new version of our current MRO software and review its possible impact on my final users (technical Publications, Shops and Operational Engineering), and, according to this, develop training, change management and continuous improvement"
Bachelors Degree, 16-20 years: "Design and Implement TI projects to automate and improve workflows in the company." Masters Degree, 20+ years: "Responsible for the direct sale of Sabre Travel Network products and services for Mexico, Central America, and The Caribbean. Responsible for finding and generating new customers, both critical, large and middle size accounts. Calls on prospective customers, provides technical and administrative product information/demonstrations and quotes appropriate customer prices. Represents the company to the customer and the customer to the company in sales- related matters; understanding of customer's business and product requirements is necessary. This position is fully knowledgeable about company products. Establishes target list and short-range strategies to attain key business plan objectives of new and conversion sales. Quotes and negotiates pricing options and explains contractual obligations to potential customers. Closes sales; goal is to meet profitability and growth objectives. Develops strategic business/sales plans." Bachelors Degree, 20+ years: "To assign the best salary to the employees accordingly to the level of the job"
Masters Degree, 8-12 years: "Create technical and commercial proposals for automation projects in the Automotive industry." Masters Degree, 20+ years: "Director of security in the hospitality"
Doctorate Degree, 4-8 years: "I teach business anahement"
Bachelors Degree, 4-8 years: "Recruitment, head hunting"
High School, 0-1 year: "I take calls in a call center for AT&T, fix issues such as email configuration, printer installation, etc"
Masters Degree, 12-16 years: "Injection mould design and development manager"
High School, 0-1 year: "BPO call center"
Bachelors Degree, 1-2 years: "Complete personal tax returns"
Bachelors Degree, 16-20 years: "Automotive Tier 1 plant manager"
Bachelors Degree, 0-1 year: "general doctor primary care"
Bachelors Degree, 4-8 years: "Insure all equipment for a foundry is running, and purchase and install new equipment to improve safety and efficiency." Bachelors Degree, 4-8 years: "campaign execution and lead generation"
Bachelors Degree, 8-12 years: "ensure office runs smoothly"
Masters Degree, 16-20 years: "Oversee the business of a multinational sports agency in the region." Bachelors Degree, 4-8 years: "Marketing Coordinator for Makeup: in charge of the internationalization in Hispanic Zone, launch plan, Brand Equity & Distribution Plan"
Masters Degree, 20+ years: "Manage the Team"
Some College, 4-8 years: "Develop and maintain web applications based on .net framework"
Masters Degree, 16-20 years: "Linking university enterprises"
Bachelors Degree, 8-12 years: "Supervise contact individuals"
Masters Degree, 4-8 years: "Registration process"
High School, 1-2 years: "Service Desk support, direct interactions with users for resolution of IT issues"
Masters Degree, 2-4 years: "Teaching ancient history"
Bachelors Degree, 8-12 years: "Develop footwear lines"
Bachelors Degree, 1-2 years: "Doy consultas a gente enferma"
Masters Degree, 4-8 years: "Lean, PMP, and operation planning"
High School, 1-2 years: "Provide service to customers face to face or over the phone." Some College, 0-1 year: "inbound calls, queries"
Some College, 20+ years: "Filing, capturing of data, Asset verification, Purchase and stock control, Human resources, General secretarial work, Reception work"
Bachelors Degree, 12-16 years: "Internal and external communications Website management Develop publications"
Bachelors Degree, 16-20 years: "Direct all operations activity for manufacturing plant"
Bachelors Degree, 8-12 years: "Regional Operations Manager for Tech Company"
Page 1 of 6, 100 of 510 salary profiles. Mexico has the 13th largest economy in the world by its nominal terms and 11th largest by purchasing power as World Bank report shows. GDP in the Mexico was decreased for more than 6% in the 2008 recession and was one of the most affected among Latin American countries. Automotive is among the most important industries in the country. It's quality standards are well recognized. Big three General Motors, Ford, and Chrysler have been produced in Mexico since years 1930. In 1960s joined Volkswagen and Nissan. Later joined Honda, Toyota, Mercedes-Benz, and BMW. Mexico is focused to aerospace industry, and helicopter industry as well. In the last decade electronic industry increase was huge. The country has the 6th largest electronics industry in the world after United States, China, Japan, South Korea, and Taiwan. It's export of electronic to the United States was second largest in year 2011. Since year 2008 Mexico is has been third largest manufacturer of computers and mobile phones in the world. Tourism is very important for the economy in Mexico as well. The country is the eight most visited country in the world, with more than 20 million tourist each year.